In May-2015 we wrote that there have been some important lending changes for investment loans by the major Australian lenders. 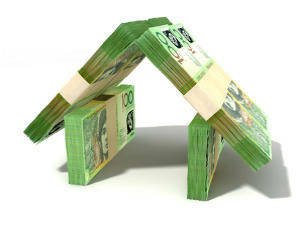 APRA (http://www.apra.gov.au/Pages/default.aspx) has suggested to Australian lenders that the level of investment lending is on its radar. As such, many Australian banks have reduced their appetite for investment lending. They have done this by reducings the maximum LVR they are willing to lend to for investment loans. Or course, banks have also increased the interest rate charged relative to owner occupied loans. APRA may, in the future, recommend that banks hold more capital aside for investment loans relative to owner occupied loans. This is the excuse banks are using to increase investment interest rates and getting you to pay more. Increased the lending restriction of Australian banks based on Interest Only lending. http://www.apra.gov.au/MediaReleases/Pages/17_11.aspx . There is now a limit on interest only lender to 30% of total new lending and new strict limits on interest only loans to LVR above 80%. This increased scrutiny on interest only loans does make sense. At Orange Mortgage and Finance Brokers, we never recommend interest only loans to owner occupiers. For investment properties however, in certain circumstances it does make sense to have interest only loans. Previously when there was no pricing difference between principal and interest payments versus interest only loans most investors had interest only loans. Now that there is a significant price difference, even with any tax benefits, it is likely that increased interest costs don’t outweigh the benefits. Get proper tax advice first. The most important thing to consider if you are thinking about buying an investment property is to get proper tax advice and financial planning advice. We strongly recommend you make some time to meet with your trusted accountant and/or financial planner. We have seen many clients who didn’t speak to their financial adviser and entered into a property investment which could have been structured more appropriately to better meet their needs. The key benefit associated with negative gearing is that the loss associated with the property ownership can be offset against other income earned, reducing your assessable tax income, thereby reducing the amount of tax payable. Positive cash flow properties are self funding and are considered to be a conservative investment strategy that provides an income with exposure to the prospect of capital growth. Many clients are purchasing investment properties via their self managed superannuation fund. This can be complicated, which is why it is important to speak to qualified tax and financial planner advisers. Ben and Laszlo each have over 15 years experience in finance so they are more than comfortable speaking with accountants and financial planners about setting up the correct structure for you. At Orange, we make sure the best financial structure compliments the financing options available.